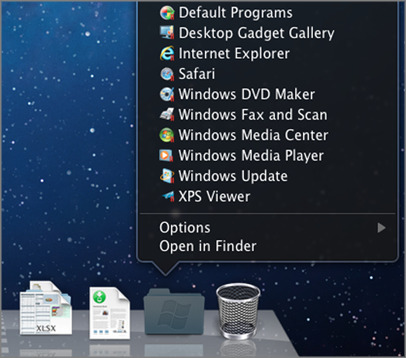 Virtualization on Mac with Parallels Desktop 8. Possibly it was an expected publication for the regular readers to get an update on this Virtualization software. There are somethings to say before we begin the song. There are reasons for writing this post on Virtualization on Mac with Parallels Desktop 8. The readers who are landing directly from the search result, need to understand the basic philosophy behind this article on Virtualization on Mac with Parallels Desktop 8, a kind of review. First important thing is that, what I understood, our readers are very careful what they are reading. It is very good thing, it builds and protects the quality of a website. Second point is to explain the first point. Someone via comments on an article asked whether VMWare Fusion or VirtualBox for Mac is better. Basically the question was on an article on Virtual Appliance. We tried to answer it on the article – VMWare Fusion or VirtualBox for Mac ? Prompt reaction on the post on Google Plus. Third is – from the above points, if you are not a regular reader or not aware of the above written facts, understand it carefully – We are writing this article on Virtualization on Mac with Parallels Desktop 8 neither means VirtualBox is bad nor we are promoting Parallels Desktop 8. We do not promote any paid software. You actually can see other users’ opinion in the Google Plus post. Straightforwardly, it is better to test Parallels Desktop 8 on our new MBP 15″ (Retina), right ? Parallels Desktop 8 include drag and drop email attachment feature, an improved wizard for automated installation of Windows and other operating systems with the shared use of Bluetooth connections, Windows programs are accessible from OS X Launchpad, Windows notifications is viewable on the Notification Center, resource monitoring for virtual machines with display of memory and disk space as well as the control of Windows programs gestures of OS X are seamless. All are officially claimed features and works fine. Windows and Windows programs can use the resolution of the new MacBook Pro 15″ with Retina Display. A New Wizard optimizes the full screen view and automatically adjusts the resolution to disable the screen saver on Mac and Windows. Parallels Desktop 8 or Other Virtualization Software to Buy ? You can use or test VirtualBox as free, it is a fully free software. It is possibly enough for Virtual Appliances. We think for only Virtual Appliances, there is no need to pay for any other Virtualization Software. Other two, both Parallels Desktop 8 and VMWare Fusion 5 has Trials. The first one costs approximately $80 and the second one $50. So the difference is of $30. That is possibly not much higher to pay after noticing the smoother performance. This Article Has Been Shared 3588 Times! Running a Web Based Virtualization Software Married to PHP can be done with a good project named phpVirtualBox. You can run on localhost or any LAMP Server. Cite this article as: Abhishek Ghosh, "Virtualization on Mac with Parallels Desktop 8," in The Customize Windows, March 11, 2013, April 21, 2019, https://thecustomizewindows.com/2013/03/virtualization-on-mac-with-parallels-desktop-8/.